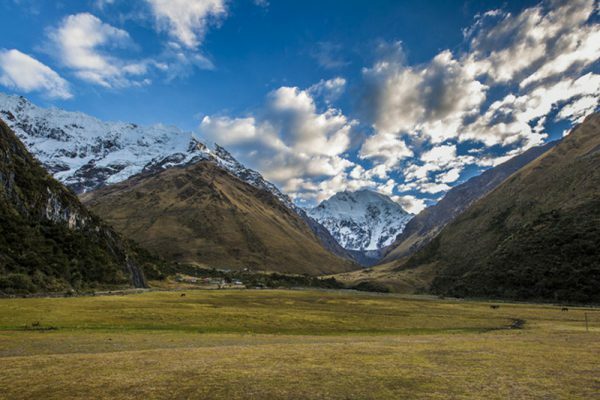 A unique adventure, trekking from lodge to lodge towards Machu Picchu, this is the Salkantay Trek in a nutshell. But, there is much more to it! 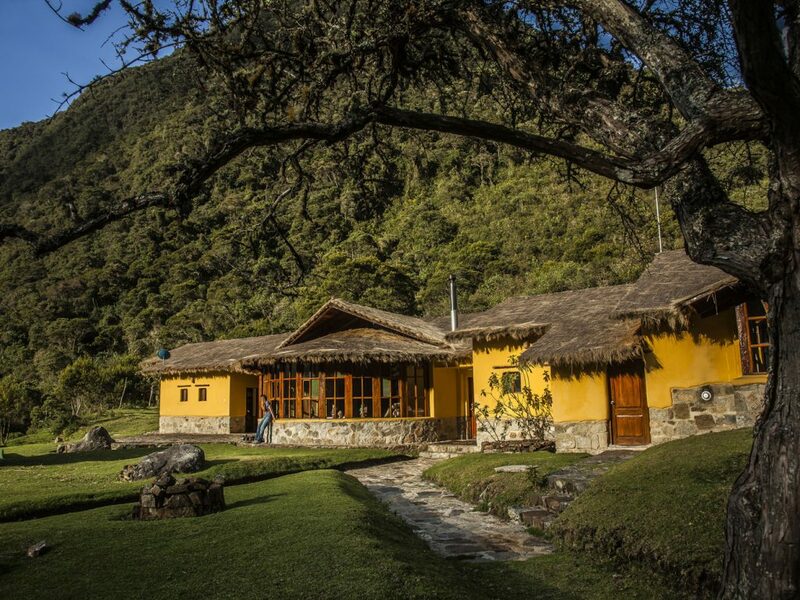 This is one of the best ways to, not only visit Machu Picchu, but also to enjoy an incredible landscape through 9 biomes, with 4 comfortable mountain retreats along the way, so to spend a relaxing night before next day’s adventure. 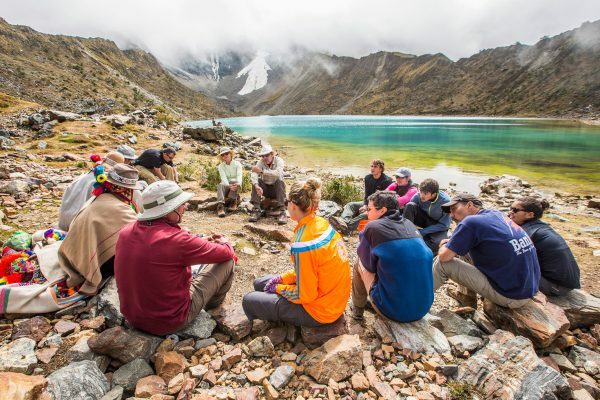 On the Salkantay trek, you will walk through stunning scenery of snow-covered peaks, mountain crossing and challenging trails, all with full support of highly trained and qualified guides. This is more than a regular trip, but rather an insightful journey you will carry for life. SUL Hotels Tip: After a full day adventure, you deserve a proper relaxation time. That is when the delicious outdoors Jacuzzi tubs, available in all lodges, are the most valuable asset. 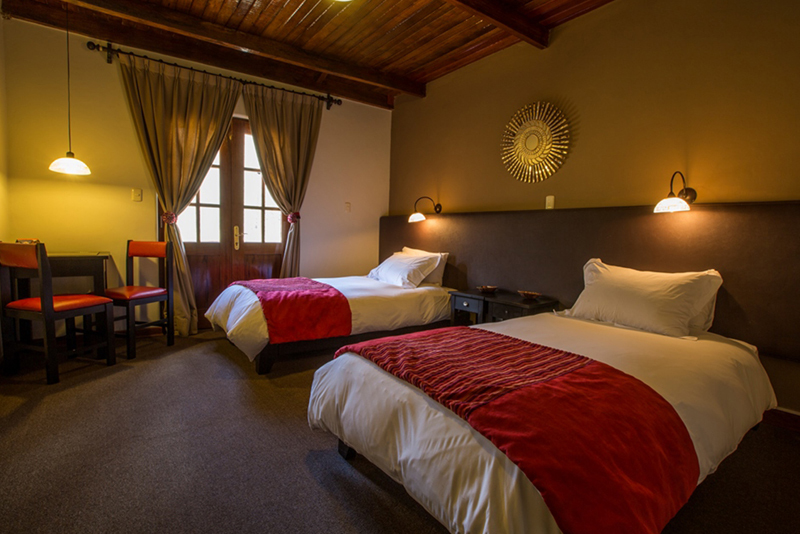 All rooms can accommodate up to three people in double or single beds. They are very welcoming, providing hot water and heating to maintain a comfortable temperature during the night. 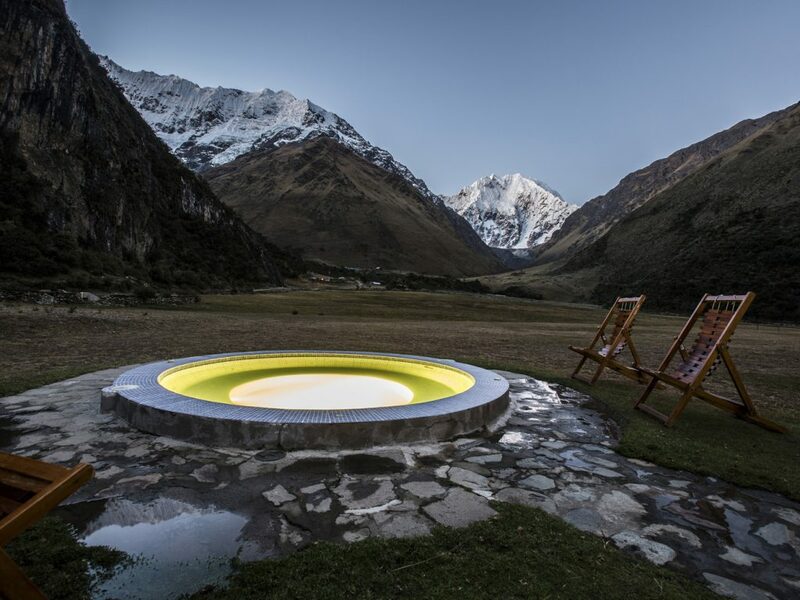 Three, of the four lodges, Salkantay, Wayra and Colpa, have an outdoor Jacuzzi tub. Hair blowers, safe box, special bath amenities and thermic and acoustic isolation in the windows are details that make difference to complete the accommodations’ comfort. 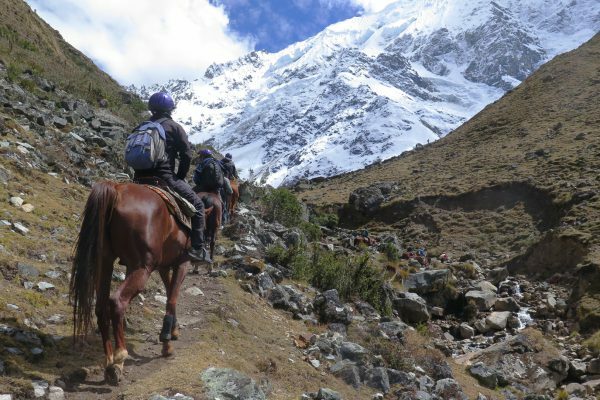 The Salkantay Trek by Mountain Lodges of Peru is the only option for those who want to arrive to Machu Picchu trekking and staying in lodges, instead of camping. And it’s not because it is the only option that it does not offer quality: the comfort is so much that you will not even believe you are making a trail by such a remote place. 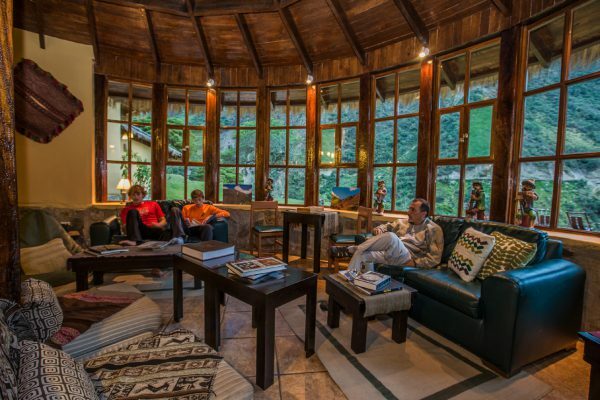 You are going to stay in 4 lodges along the way: Salkantay, Wayra, Colpa and Lucma. 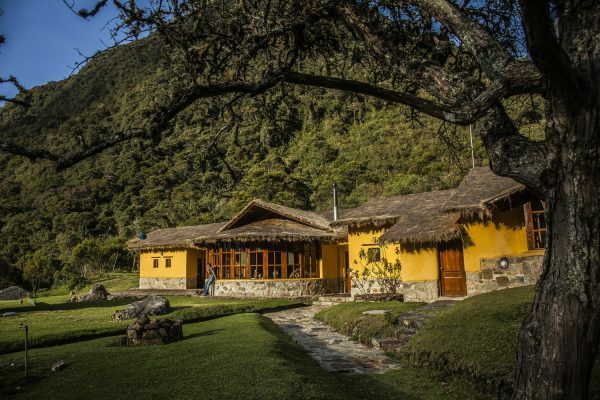 The first and largest, Salkantay has 12 rooms, where you will spend two nights to acclimate to the altitude and be friens with another group of guests. The other lodges are smaller, with 6 rooms each, keeping all the quality and comfort in accommodation and services. 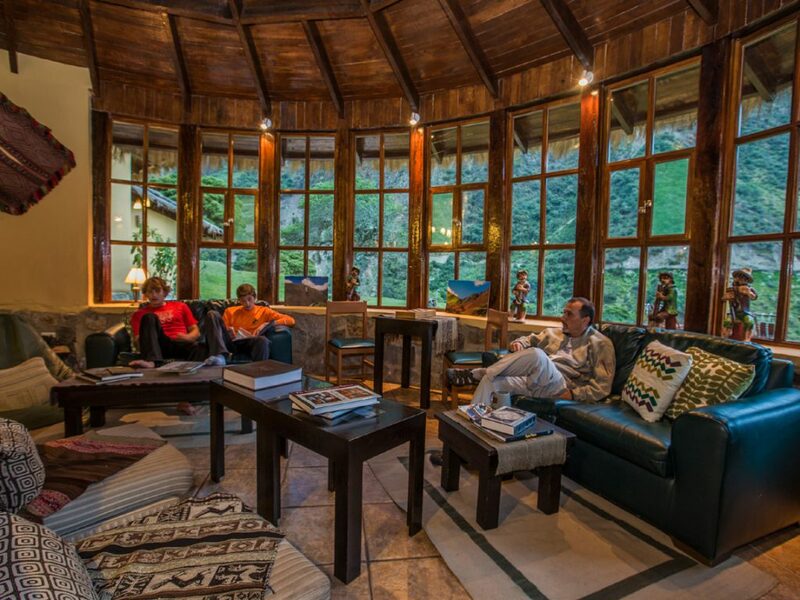 The rooms and facilities in the lodges are very welcoming, and the food is healthy and tasty, giving you all necessary energy for the trek. Harmonize the dishes with special wines and drinks to further enjoying the local cuisine. 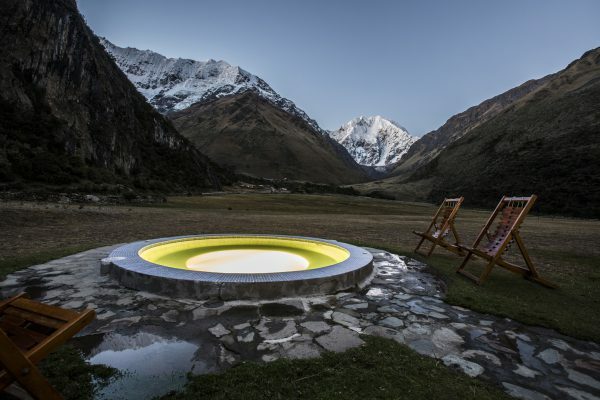 Outdoor Jacuzzi tubs are available so you can enjoy the starry sky after a long day of trekking. If you prefer being indoors, a massage service can be requested and complete your daily experience. 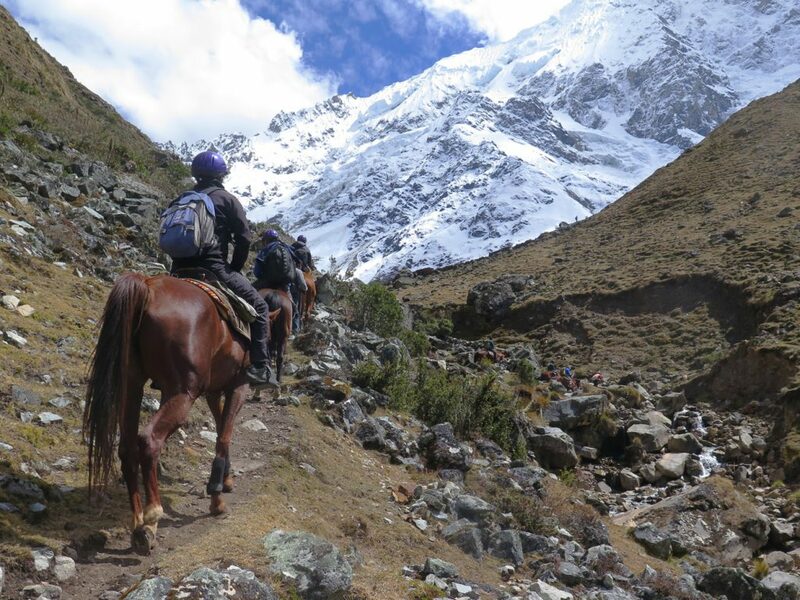 As the trail is the big attraction, the Mountain Lodges of Peru handpicked their guides. They are the most knowledgeable people in both the local culture and nature, and nothing goes unnoticed about the incredible places you will visit. 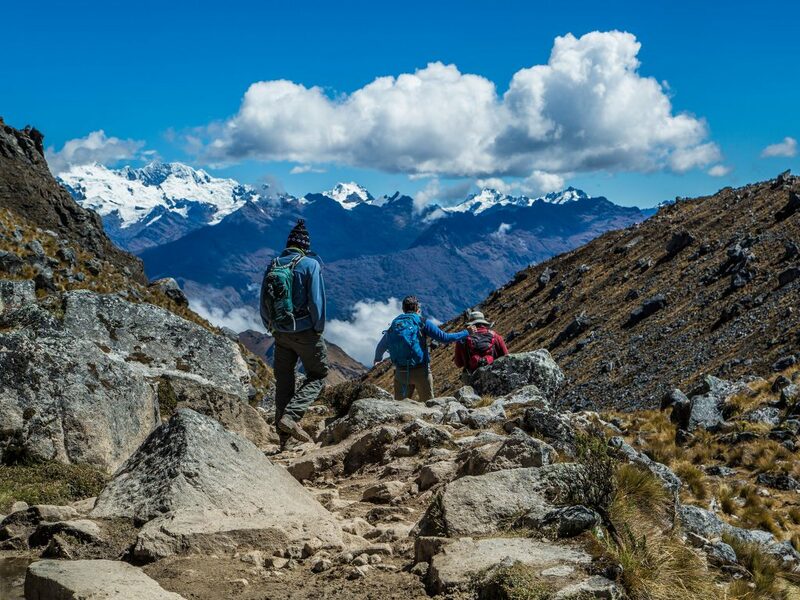 The Salkantay Trail is an alternative option to the Inca Trail, to reach Machu Picchu, walking along the Salkantay Mountain, approximately 6,271 meters above sea level, through forests and the Santa Teresa valley, all the way to Aguas Calientes. Your constant surroundings will be several snow-covered mountains, such as Umantay. 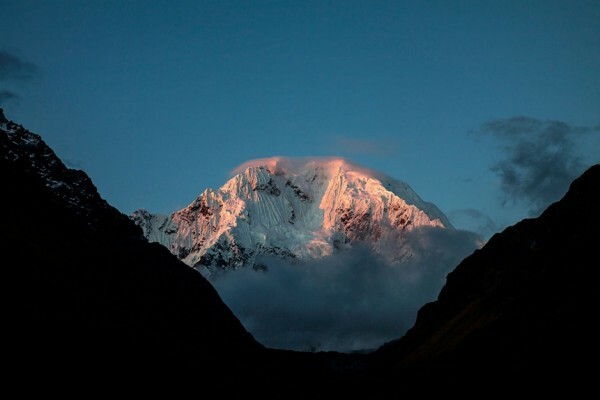 Originally, the trail is travelled over 5 days and 4 nights, trekking approximately 8 hours daily and, so, encamping. 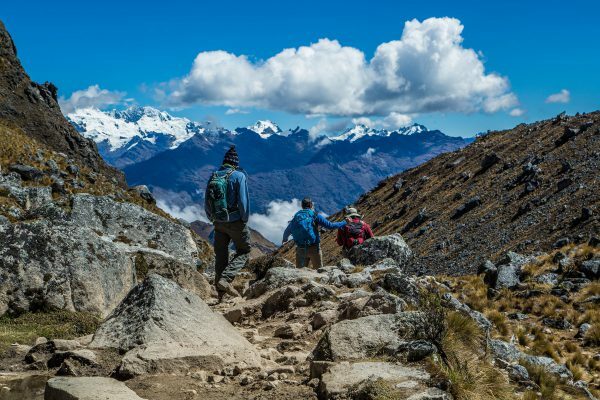 Many treks lead to Machu Picchu, but the Salkantay trail is simply fascinating. 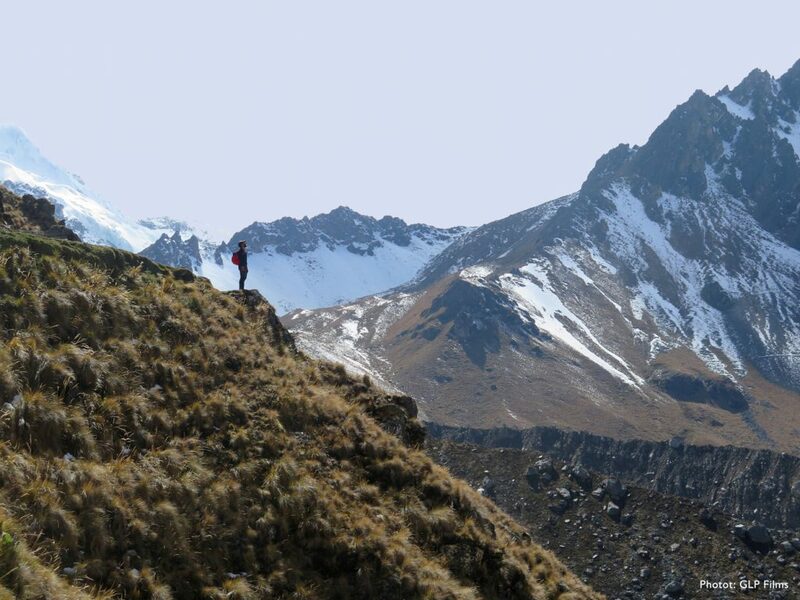 Mountain Lodges of Peru perceived this and created an alternative for travelers who do not forsake comfort: travel the same path, but trekking less time and resting in comfortable mountain retreats, from where it is possible to enjoy local gastronomy and the surrounding views with tranquility. 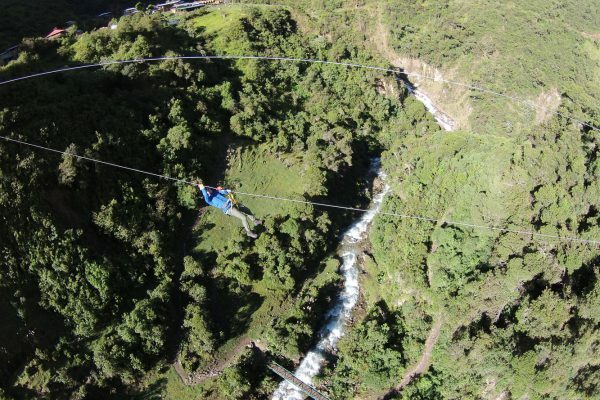 In this way, the Salkantay Trek by Mountain Lodges of Peru lasts 7 days and 6 nights. 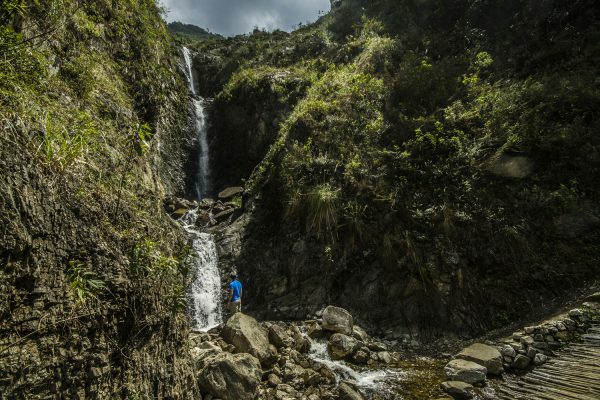 Several natural marvels like snowy hills, closed forests, arid lands, stony, and many fertile valleys with rivers and waterfalls take place of the region. 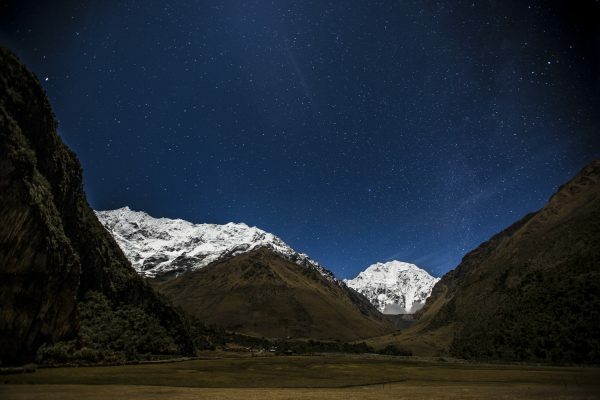 With a total length of 55km, the Salkantay Trek through this imposing mountain range naturally offers all of this for you to, living the richness of the local ecosystem as closely as possible. 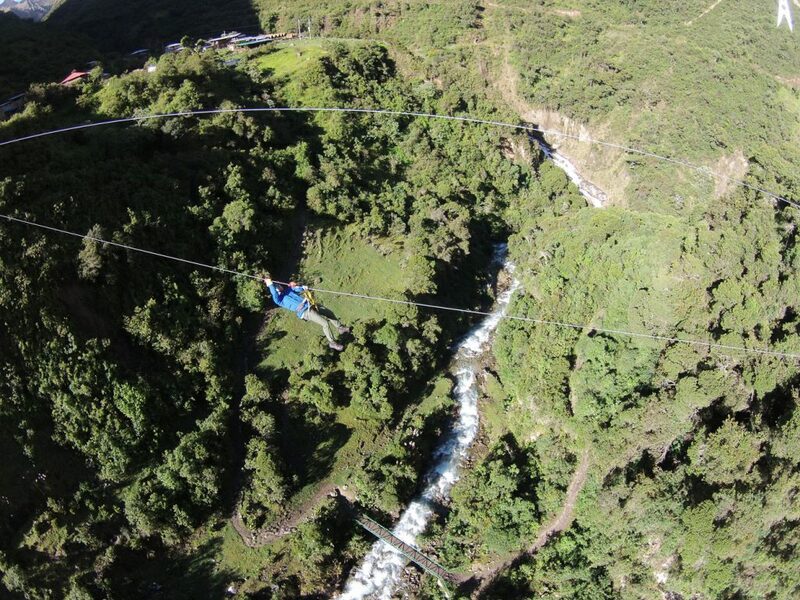 The entire path lasts seven days, departing from Cusco. From there, you will walk 4-6 hours a day. 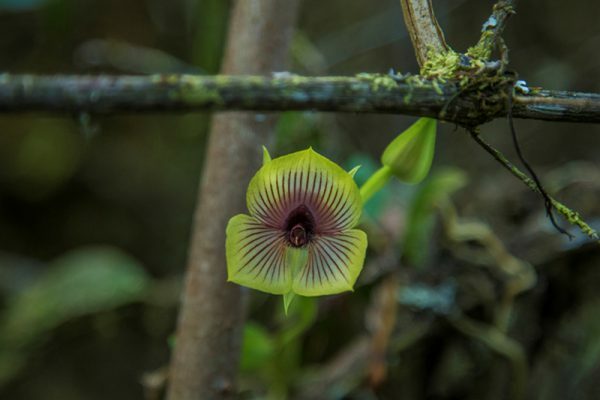 During the trek, enjoy the vast flora and fauna and take lots of pictures! 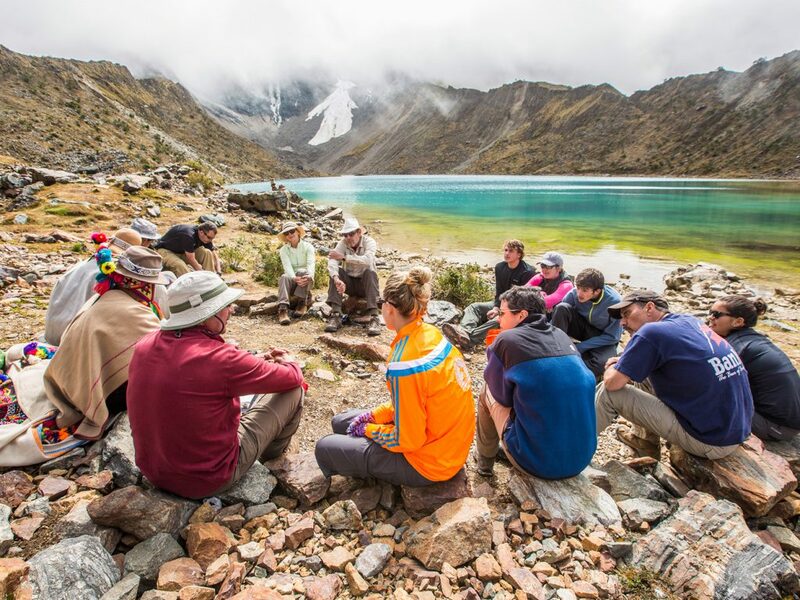 Initially, you will pass by stunning turquoise lakes and snow-covered mountain peaks, where the altitude is higher and the weather is colder. 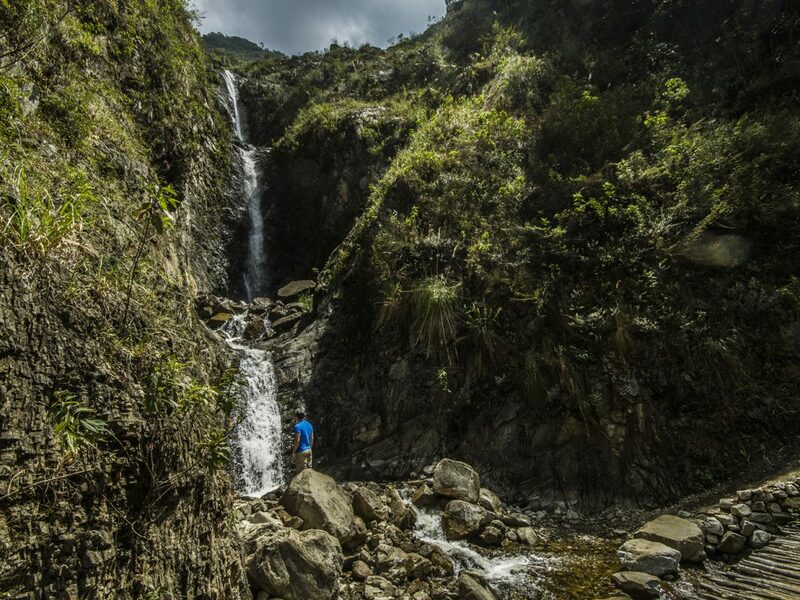 Along the trail, temperatures get hotter and the green takes the place of snow, showing waterfalls and coming into the rain forest. Resting stops during the day become relaxing picnics amidst nature. On the sixth day, you will arrive to Aguas Calientes and visit the small colorful town, of unique customs. 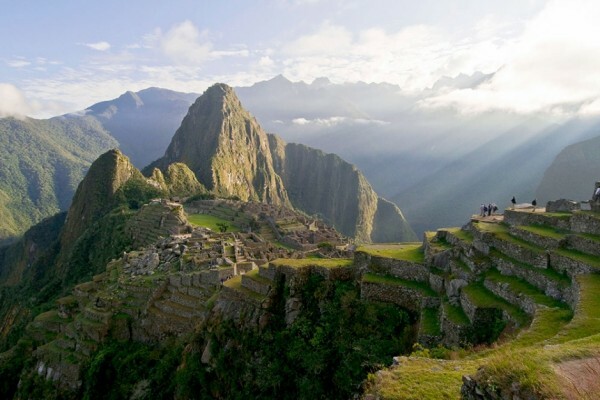 The adventure ends in the best way possible, with the highlight of the trip in one of the 7 Wonders of the World and a World Heritage site: Machu Picchu! 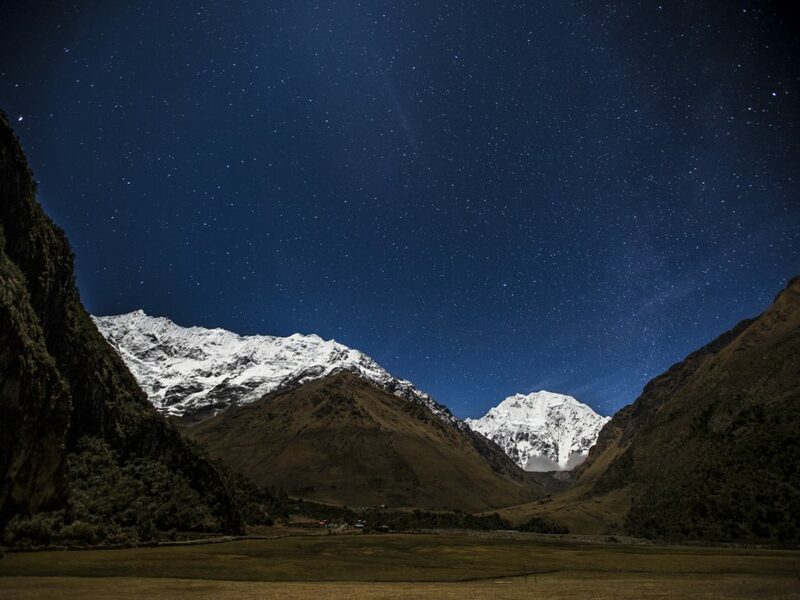 From São Paulo airport, catch a 5h15min flight to Lima, from where you will connect with a 1h flight to Cusco. 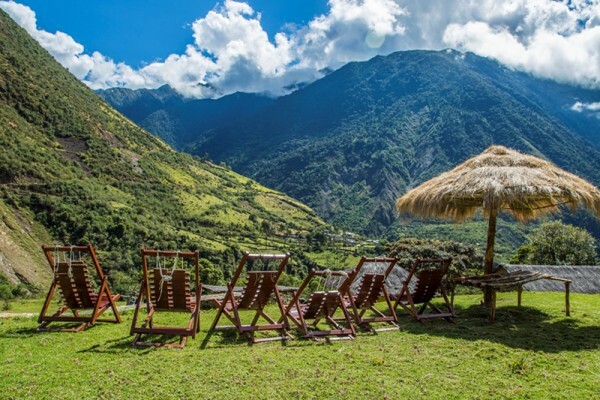 Take advantage of this convenient stop to explore Cusco and other sites in the Sacred Valley, such as Ollantaytambo or Urubamba. This way you have more time to acclimate to the altitude, while enjoying your trip – we recommend at least two calm days to acclimate. 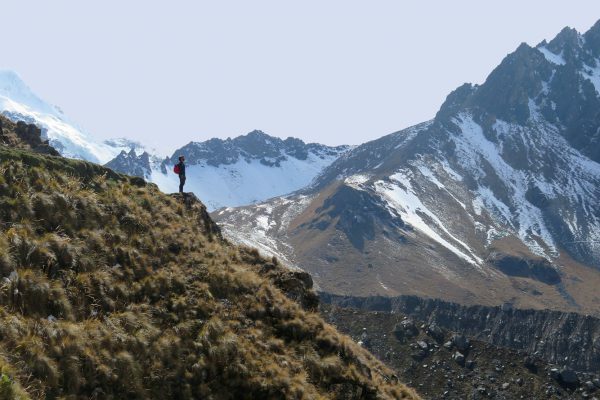 After Cusco, it is a 3-hour drive until the beginning of the trek, path throughout you also can walk.